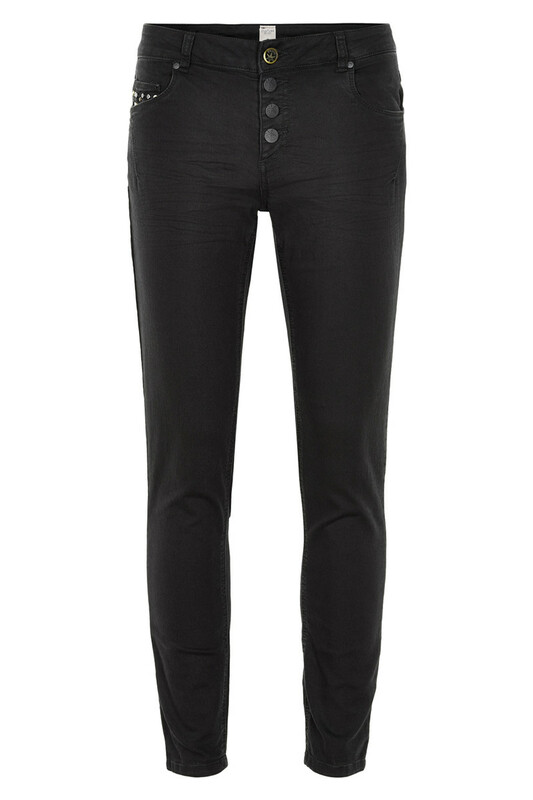 Zuset Pants is a cool pant in a good quality with a visible button closure in front. It has a tight fit and long narrow legs. At one pocket it has small rivets as an extra nice detail.